Our heather grey cotton blend "Electro Go" women's style short-sleeve T-shirt is simple yet vibrant. It features her stylish, scripted name that forms a bolt of lighting underneath, appropriate for her bold vocals, insightful lyrics and sharply aware social activism. 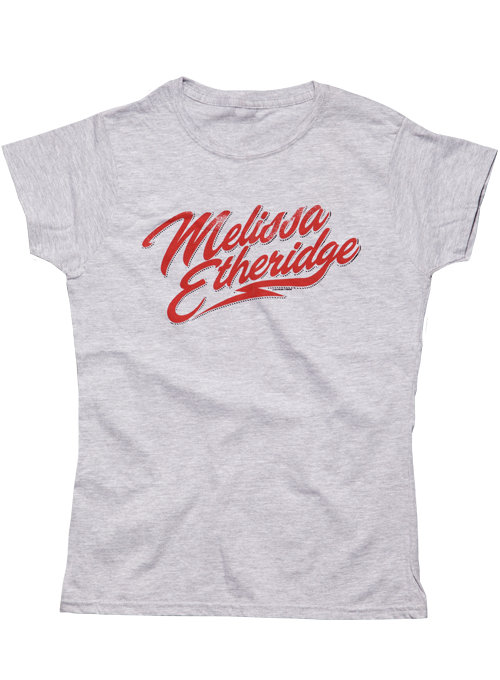 This ladies' tee has a fitted design to be more flattering. Wear it proudly!